Today’s post is for Project 52, a weekly blog project that I am working on with several other talented photographers whom I’ve come to know and love over the past year. In this project, we concentrate on light and spend several weeks exploring an overarching theme. As this is the 5th Sunday in March, and we have all had enough of artificial light, this month is a freebie. In honor of the arrival of spring (or, at least, the wonderful-but-perhaps-ultimately-cruel taste of it that we’ve had lately in Seattle – it was 71 degrees today!!! ), I decided to post a cheerful flower. I hope there are many sunny days ahead for all of us! Please continue along our creative blog circle to see what my lovely friend Jill Cassara has posted. Jill is a wonderful photographer based in Michigan, who takes gorgeous lifestyle photos of her two adorable kids. Please click HERE to see what image Jill chose for today’s post. P.S. And a shout-out to my friend Renee Bonuccelli for inspiring my composition today – check out her work if you have a minute. I am sure you will be impressed. This color is delicious, Kami! I always love your macros! Wow – love this high-key look. Makes me long for spring all the more. Thanks for bringing a little sunshine over here. Gorgeous macro as usual, Kami! 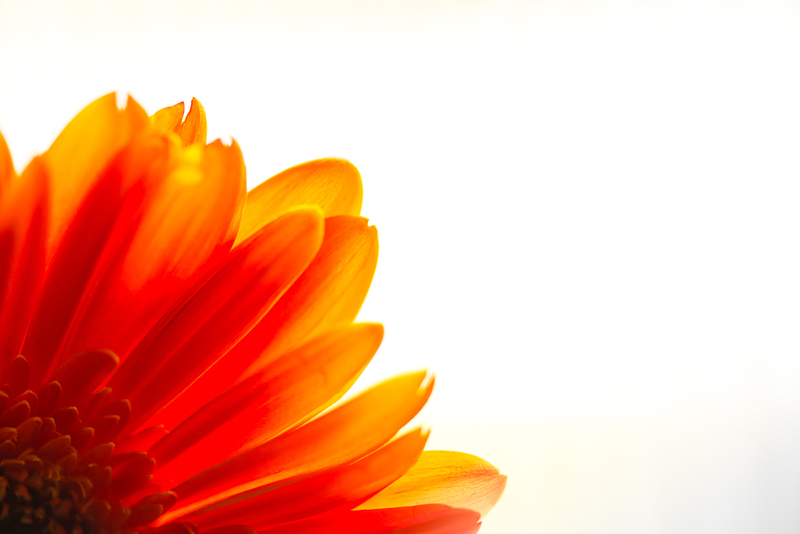 Fantastic color — i love the way the light slowly glides through the flower. Beautiful. Gorgeous color and I love the details in the petals! !